"Powerful Social Media Linking System CRANKS out authority backlinks and FORCES published posts to page 1 of Google in under 4 minutes"
Look, I'm not here to impress you with an incredible over the top sales copy, or to tell you that you will make umpteen $s within 24 hours. In fact, I�m not even here to tell you how I�ve made a bunch of money in just hours like so many hypsters do. Instead, I'm here to show you proof about an amazing new website with a submitter and an optional Wordpress plugin to use for posting automatically that I�ve developed called BookmarkLovers and exactly how you can benefit from this powerful new system. That�s right, and it�s not just a BS statement! Watch the video below where I show you a live post getting a page 1 ranking on Google in under 4 minutes. In fact, watch me post a review on 2 sought after products, and get a page 1 ranking all before your very eyes!! There's actually 4 very short videos below that you should watch. 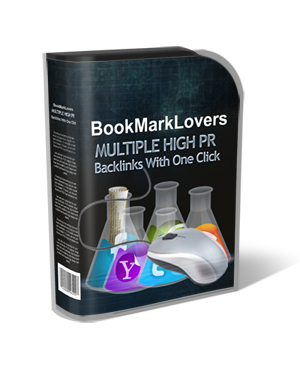 What Exactly Is BookmarkLovers and How Does it Work? Before I answer that, I need to explain where this idea and tool development came from. Throughout the last year, I have released a number of products regarding Social media and SEO. Social media plays a massive role in SEO rankings, and over the past few months, I have been using Social media sites alone to gain top Google positions. This may not come as a surprise to you as we all know how important Social media is on the internet and for SEO. The problem has been that previous techniques needed in order to use Social media sites would mean a ton of work had to be done, and it was very tedious because we had to login to each to make posts. And also required us to remember to make posts on a regular basis for each site. There had to be a better way, so I decided to work on it to find a solution. This is how BookmarkLovers was born! BookmarkLovers changes everything! We are now able to use these Social media sites effortlessly on our Wordpress blogs for each page/post we publish or schedule to post. We've also made our system available to those without Wordpress to post from within our Bookmarklovers website. In a nutshell, BookmarkLovers works by pushing your posts to our BookmarkLovers website which then posts to a number of web 2.0 sites including Pixelpipe, Ping.fm, Hellotxt and many more. Our built-in system makes the features and unique twists an Internet marketers dream. The goal is to become successful right? All the sites you put up, they need traffic. You may have review sites. product promotion sites, launch jacking, sniper sites, or even pages marketing with adsense / amazon /ebay products. You could even have CPA sites or maybe your own services site. Whatever site you have, our system can get you site visibility and presence on the net. We all know that traffic is extremely important, and the success of websites and offers boils down to you having traffic. Without it your destined to fail. So without going into too much detail describing the sites that BookmarkLovers work with, I will instead concentrate on the results achievable with these sites and describe the features available in BookmarkLovers and how it works. Imagine Publishing a Post on Your Wordpress Blog and Gaining Authority Backlinks to Each and Every Post Within Minutes Without Lifting a Finger. This is exactly what BookmarkLovers does. In farct the authority backlinks will ensure you get rapid indexing of all posts and super charged Google rankings. It hasn't ever been this easy. I�ve already showed you what kind of rankings you can expect above. So lets take a look at some of the features and how it works. Wordpress plugin for Wordpress users to automaticaly send posts/pages through the system. This system has been designed so that it gets you deep links to each and every post you publish, and it also allows the user to add their own links should they wish. 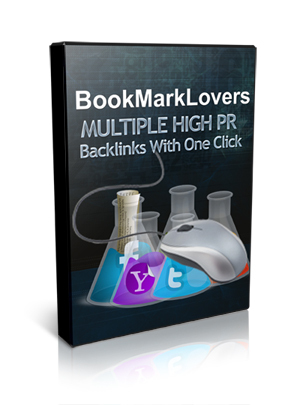 The reason BookmarkLovers works is because we give the search engines EXACTLY what they want. We use Authority Social media sites as the backbone for your website which in turn feeds the search engines their favorite meal. This then shoots your site to the top of the Google rankings within minutes if not hours depending on your keyword competition. Absolutely, everything is built into the system, so all you need to do is configure your connections on the site either make posts from within your member's area or add the Wordpress plugin to your blog to automatically have posts/pages sent through Bookmarklovers. You just update your blog as normal from that point and everything is done in the background. The plugin will then Push your posts to your BookmarkLovers account. This is when the submitter kicks into action posting your pending posts whilst running silently in the background without you even knowing. All of this happens in the background to ensure you get a link back to your post in order to secure your top ranking. It�s all coded for you so you don�t have to worry about being a techie. Set it up and just post away like normal. It can't get simpler then that!!! What do I need to use this system? Bookmarklovers Members Area: This is where you setup your various groups, Social media linking, proxies, and onsite article postings. The Submitter Software: A required key component to doing the postings made either from the Bookmarklovers members area and/or Wordpress. It is a small software that runs on your PC in the background and is vital to getting higher success rates. The reason it works so well is we are going through multiple PCs instead of just posting from one central website. The Wordpress Plugin: This is for all Wordpress users to automatically sending posts/pages to your Bookmarklovers system. It is not required but we highly recommend using the plugin. Social Media Accounts: These are accounts you either setup and link yourself or you use an automated system like the IMPowerSuite to build these rapidly. For your Social media funnel accounts, you don't need to have them all. You can have as many or as little as you like. The system is totally scalable, and now you can see why it's so easy to get top Google rankings. The main Bookmarklovers site can be accessed from anywhere in the world. We offer a standard license which is the one found on this page that will allow you to use the plugin wtih up to 3 sites after which it will not allow further use. After you purchase it, you will be given a one time offer for a developers license that will allow you to use the plugin on as many sites as you like. In fact, you can sell a website with the plugin in place and still have control as to cancel the license for that site or keep it. Developer licenses will be limited, and I may withdraw from selling it at any given time. The users that secure a developers license will have access to it for life and can use it on as many personal sites or clients sites as they want. But, it is NOT a reseller license. It is very easy to install, Just configure your social accounts on the website, install the plugin on your blog and download the submitter - You will have full user guides and also video tutorials to see you through each step of the way. For the developers version, it will be done in the exact same method as above however the developer will have a separate control panel where they can generate licenses for as many personal blogs as they would like and also remove licenses. A Developer will generate his/her own licenses allowing much more control. We will allow Developers to use it for personal clients that use Wordpress blogs as a service, but you can not sell it directly or give it away. Should your client cancel their services then you have the ability to cancel the plugin license in which case it will no longer work on your clients site. Upon purchase, you will receive a full User Guide along with detailed video tutorials showing you each step of the way. .
Are there other systems that do something similar? Our previous offering was just a Wordpress plugin which worked great and with similar social accounts. But it has limitations due to the fact it is running through hosted sites that are very inconsistent. So we went back to the drawing board with a bigger team of developers and came up with the BookmarkLovers system which is bigger and better with a much more stable system in our control allowing us to keep track of logs, issues and make changes on the fly. We've already released a limited version to our users and achieved a 80% success rate from over 20k submissions which is truly amazing. Basically you can try posting to these Social media sites manually on your own all day long but it probably won�t benefit you. Why? Because there is a lot more to it! The system uses these sites in a way to make them the most effective for top Google rankings, and it does everything needed to get the most out of these sites. It auto converts URLs so that they are permanent redirects. It auto creates a backlinks back to your post. It allows spinned syntax support. It even forces your posts to as many linked destinations as possible and even allows scheduled posts and pages. The system was specifically built to do the work in the background for the user. All is taken care of and coded. You just post away knowing that each post will get maximum benefit and authority backlinks. Other so-called systems or scripts that are somewhat close to this require a number of steps and various tasks to be done before posting to ensure maximum benefit is gained making it very tedious. You have to remember to carry out various steps/tasks on your own. BookmarkLovers has been designed to keep things as totally simple while allowing maximum control. We have a number of pointers and tips on using the system that we'll share with those who buy the system for the one time fee. Don�t forget our products come with free lifetime support and updates. 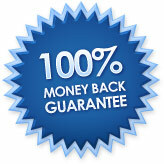 It comes with a 30 days unconditional 100% money back guarantee with no questions asked! Can I purchase the developers license at a later date? No, this will only be available one time after your purchase. It will not be available in any other way. It's certainly worth getting and the 30 day unconditional money back guarantee applies to the developers license as well. So you don't have anything to loose. Can we really expect such rankings like you've shown? I've shown you first hand 2 posts with super quick rankings. I've also done numerous previous posts using Social media sites alone with great results. I'm not in a position to promise or guarantee anything. But all the proof I have presented to you has all been done using nothing other then BookmarkLovers and making a post to my blog. No additional back links or other work has been done. You just get your Social media accounts and use them with BookmarkLovers. You�ll be on your way to top 10 rankings. Let me just make notes that this can be as strong and as effective as you would like it to be. Just keep adding more and more social network accounts and you will soon see that there's nothing to stand in your way. Will this work with autoblogs? BookmarkLovers has been tested with the autoblog that comes with the IMPowerSuite and it works just fine. It has not been tested with other autoblog plugins, so as a result if users find any compatibility issues then my developer and myself will work with you to find a work around. That�s the real great part about this project. It�s not just stuck in stone like so many other things out there. We are the developers and everything is done in-house. We can adjust and react to web changes, and since updates are free for life, you can continually reap the benefits. BookmarkLovers is for anyone that wants to leverage the power of all these Social media sites and increase your Google rankings in a solid ethical manner. Whether you have a Wordpress blog for posting, or you don't have a Wordpress blog then you are able to post using the quick post feature on the website. It's for users that are looking for effortless rankings while saving massive amounts of time. It's for launch jackers, snipers and any type of affiliate work. In fact, BookmarkLovers is for anyone looking to save heaps of time making SEO manageable for any site you have no matter how many sites it maybe. If you provide SEO services then BookmarkLovers will be a great addition to your current techniques. 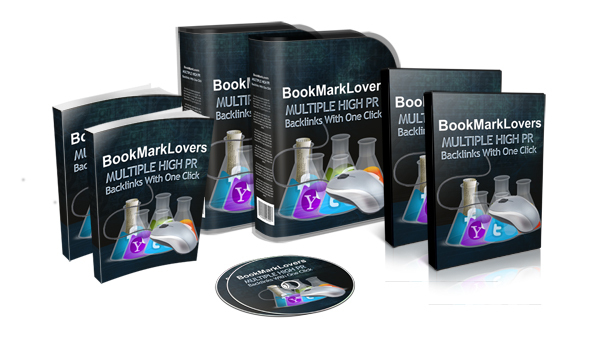 Get BookmarkLovers today and Rocket Power your sites and blogs ensuring those reviews, offers, hard work get noticed and ranked in the search engines. You will soon come to see that your focus has changed from traffic generation to conversions. That's when you know your on track. P.S. You get free Updates for life. P.S.S. Developers license is available for purchase after you purchase the standard license.